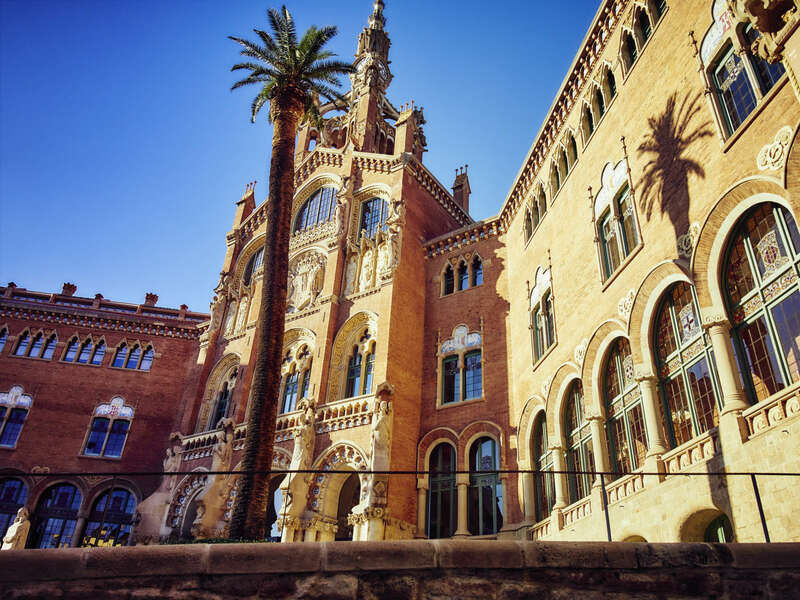 Center of Spain's Catalonia region, Barcelona offers an inside look at this distinct culture, from its whimsical architecture to its fraught political history. Barcelona abounds with landmarks that reflect Catalan architect Antoni Gaudí's modernist vision, including his famous unfinished basilica, the Sagrada Familia. Stepping further back in time, Barcelona's historic Gothic Quarter reveals its origins as an ancient Roman outpost and capital of the Crown of Aragon in the Middle Ages before transitioning into a modern metropolis in the 19th century. Outside of history and architecture, the city has become famous for its regional Catalan cuisine and celebrated chocolate. Experience Barcelona's delights with Context's private and semi-private guided tours. We offer a wide range of private and semi-private tours in Barcelona. Some of the most popular guided tours in Barcelona include our Sagrada Familia Tour, in which we visit the iconic landmark with an architect, admiring its nature-inspired designs while learning the incredible story of its development, from Gaudí's religious fervor to its continued construction, and our Picasso Tour, in which we focus with an art historian on his formative years in the bohemian city. Other ideas for Barcelona private tours include our Barcelona Food Tour, in which we delve into Catalonian food traditions inside La Boqueria, one of the oldest markets in Europe, and our Barcelona for Kids Tour, a scavenger hunt with a family guide trained in Visual Thinking Strategies that introduces families to the Gothic Quarter.